Replace this content with your own content. Content should be relevant, unique and well written. 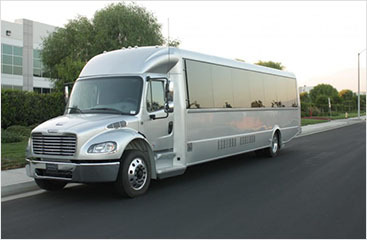 Limo-Buses combine comfort and entertainment for smaller groups. Limo- Buses seat as many as 40 passengers, providing a luxurious travel experience for your meeting and event attendees, or group of any kind. We'll get you there in style... guaranteed. ICS Limousine is a global leader in chauffeured transportation services. No matter where you travel, count on us to provide the ultimate experience in luxury ground transportation. When your flight arrives, ICS Limousine will offers our clients the choice of either baggage claim greet or curbside pickup. ICS Limousine was founded on the principles of integrity, reliability, trust and your satisfaction. Our commitment is to our customers and clientele. At ICS Limousine, we devote ourselves to making your overall transportation experience the best that it can be. Learn more about why our transportation services are your best choice. ©2015 Marketing 360® - Do not copy. All rights reserved.